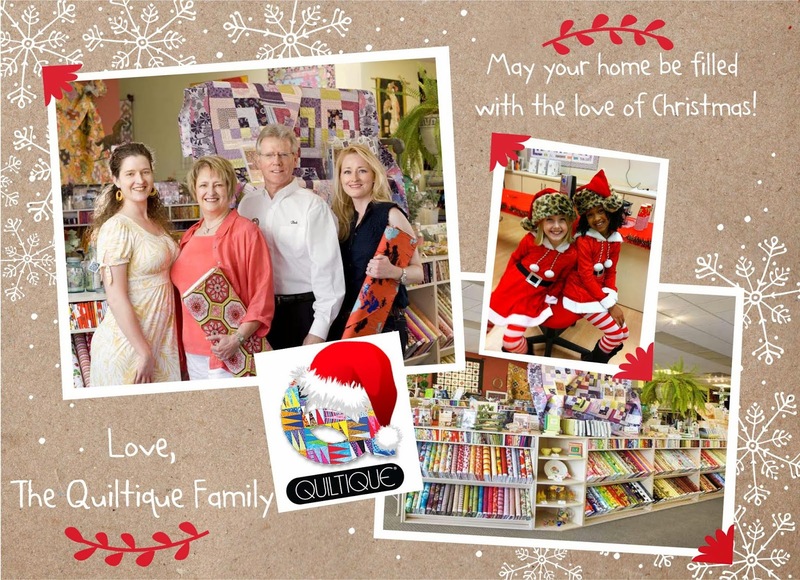 My name is Jennifer Albaugh and I am one of the owners of Quiltique, a family owned quilt shop located in Henderson (Las Vegas), Nevada. I was so overjoyed when Sarah asked me to be part of this holiday series about JOY. To be included in such an esteemed group of individuals, well it was a bit overwhelming. This is officially my first blog post so forgive me if I do something I shouldn’t. Over ten years ago Quiltique opened its doors to the quilting world. My family and I set out on a mission to be the best dang quilt shop in the country. I was not the quilter, nor my sister, Kara or my dad, Bob. Quilting was just this thing my mom, Jan, spent countless hours doing all alone in her sewing room. My sister and I knew a lot about retail (not much about sewing) and my parents knew a lot about running a business so we made a go of it. There was one thing that I didn’t know…that my job would ever bring me as much JOY as it does today. 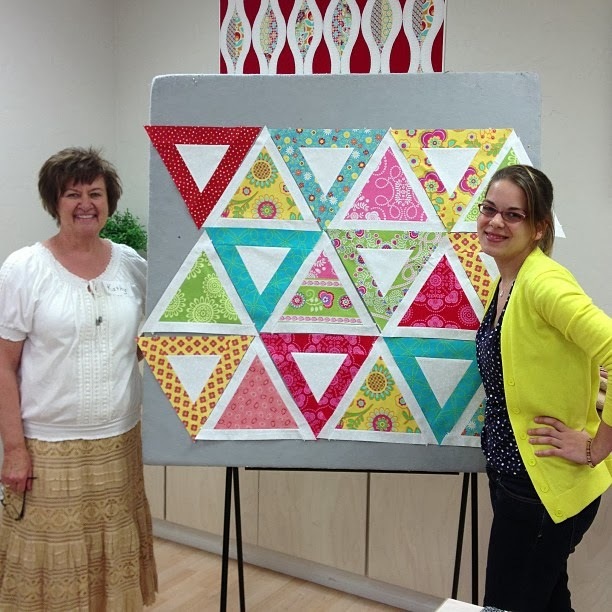 Being in the quilting business is a blast! For one, I am always surrounded by gorgeous colors and fabrics as I walk through the shop, which makes it pretty hard to be in a bad mood. Another thing that brings me JOY is having the privilege of meeting and working with some of the most creative companies and uber talented people in the business. These are the people that share their creative talents with the world and inject it with everyday beauty. Moda is one of those companies, and bring a genuine smile to our faces. 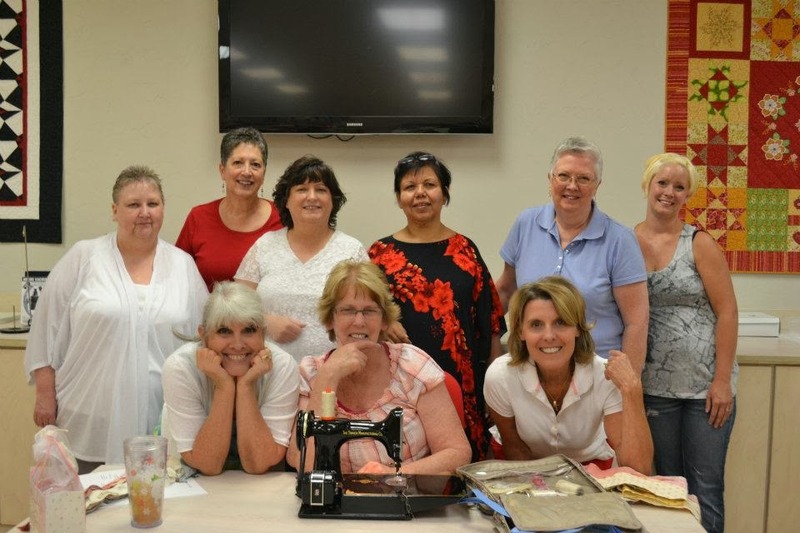 They are a big part of our inspiration and know how to bring excitement to quilters and sewers alike. The same goes for the amazing ladies (and men) that travel great distances to be here and share their knowledge with our customers. These are the people that make what we do easy and we thank you for that! Not only do I get to be surrounded by inspiration and superstars all the time, I get to work with my family. Yes, this does have its positives and negatives but honestly, I wouldn’t have it any other way. They bring me JOY and pride in ways I cannot put in words. This top picture below was just recently taken when Hans Peter Ueltschi was here all the way from Switzerland for a big BERNINA event. It was amazing! Family and Friends at BERNINA University in S.F. 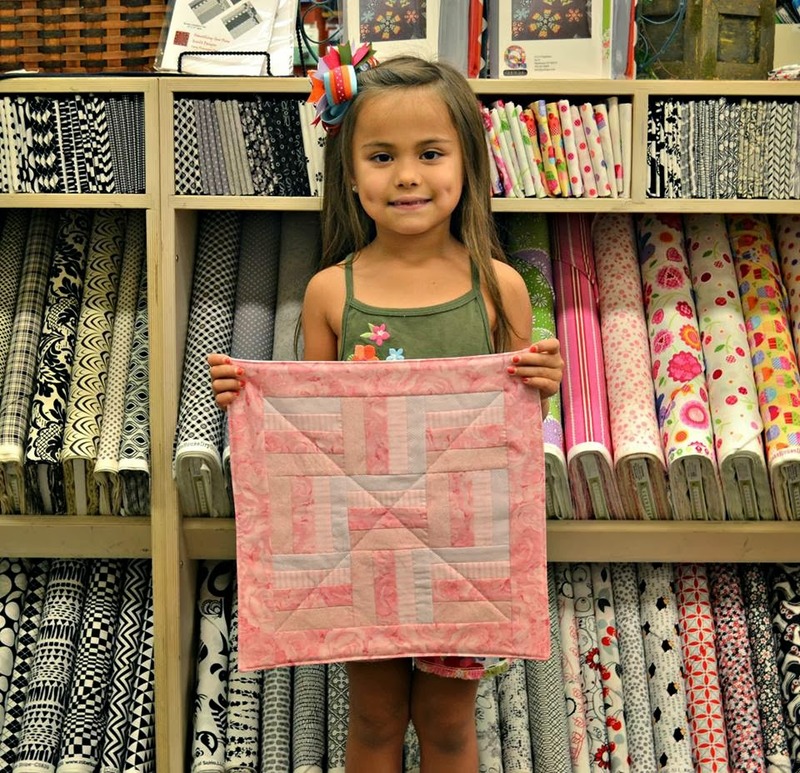 And what I have found to be the most unexpected thing about owning a quilt shop is the JOY that our customers bring. Total strangers at first, but once they walk through our doors… become part of us, part of our journey and part of our family. Sometimes they bring in pride because they have just completed that first quilt or their best one. Sometimes, they bring in excitement because they get to meet their favorite quilting “star” in our classroom. Sometimes they bring in happiness because they just won a ribbon at the quilt show or they are coming for a relaxing day of sewing in our classroom. And sometimes they bring sadness because they have just lost their husband and we are the place they come to get away from that hurt inside. No matter what they bring through our doors, they showed up…and that always brings me overwhelming JOY. 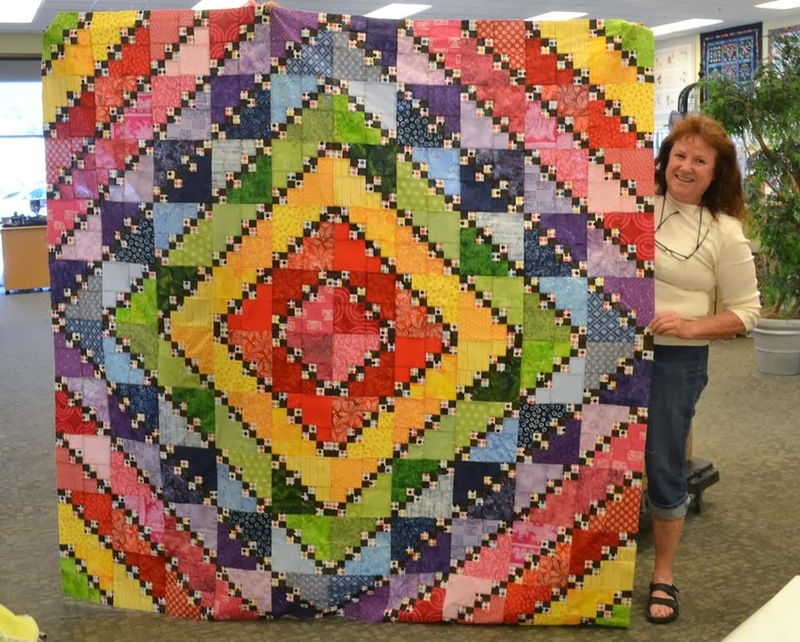 They share their lives with us through their quilts and sewing projects, and whether they are bringing good or bad, they can always feel at home here. There are times when I have to speak in front of a crowd of customers and thank them for coming to whatever it is that they have come for, and many times I have gotten a bit choked up because I am so grateful for them and the support they have shown us over the years and every single day. 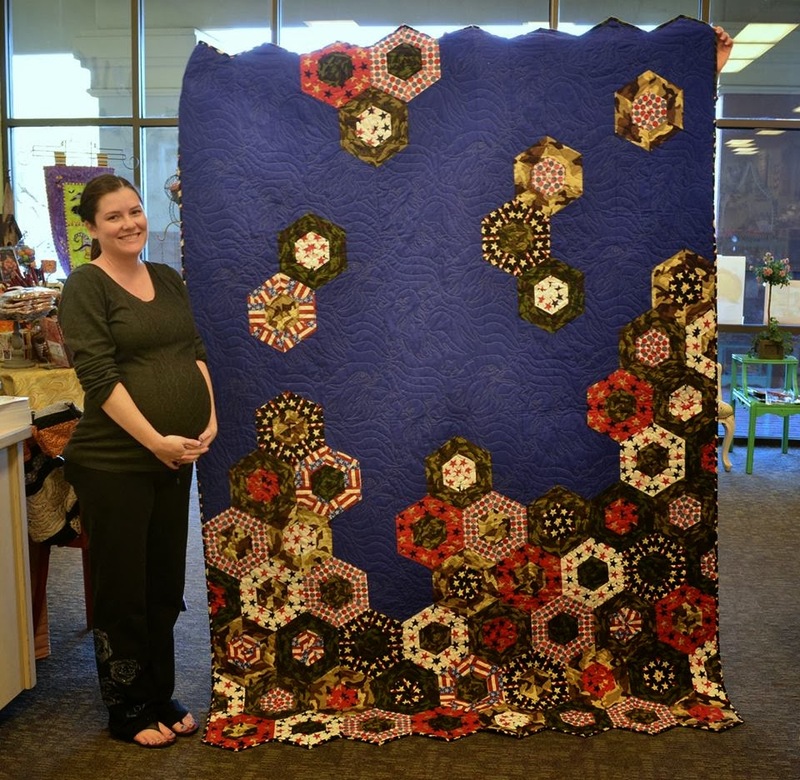 Yvonne with her Military Quilt – LOVE THIS! Teresa’s Amazon Star – AMAZING! I am truly blessed to have many JOY’s in my life… A loving husband, beautiful children, a supportive family and the pure JOY of being part of a place that gives to me more than it could ever receive. And as far as being the best dang quilt shop in the country, well in my eyes, it’s a great big YES! Best Wishes for a very JOYOUS Holiday Season! If you would like to join in on the fun we have here at Quiltique, please visit us at www.quiltique.com! And please LIKE US on Facebook to keep up with our shop! Great post and you can feel all the love in that shop. Thanks for sharing. I had the JOY of visiting your shop for the first time in November. You have an amazing shop!! Makes me want to visit Vegas more often!! Oh wish I was closer…beautiful shop! 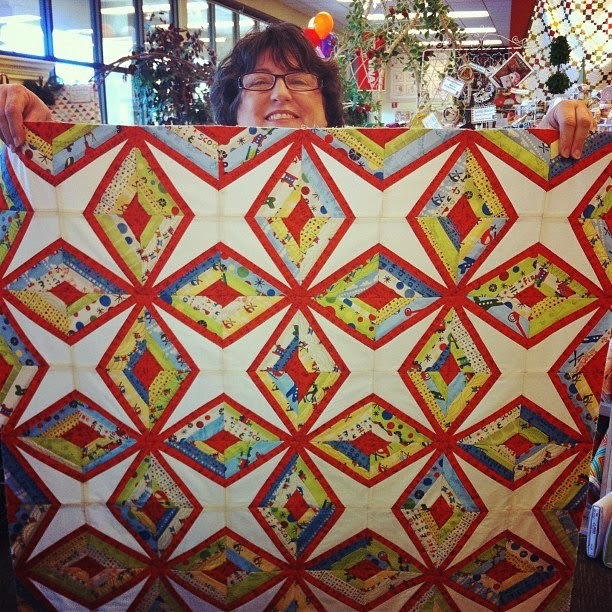 Quilters have the friendliest faces! Such a wonderful first blog post!!! Lovely shop, well done on creating a successful family business. Such a great post! The smiles on everyones faces had me smiling! and I love that you were brought into the quilting world by your mother even though you weren’t a quilter! Wow; thanks to MODA on Facebook I found you! I am coming to Boulder City next week to help my sister for a few days. Think I may need to borrow her car and come and visit!! Looks like a lovely shop! 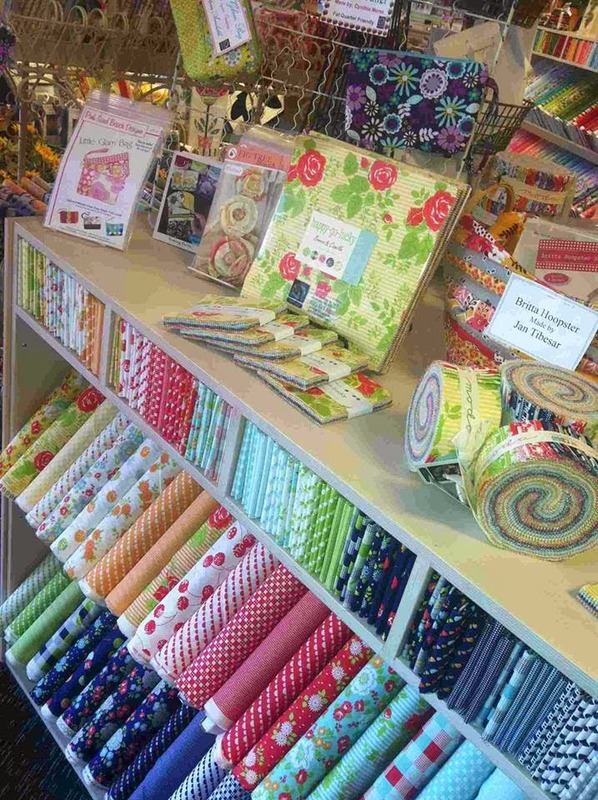 Well, I forsee a summer road trip from Virginia to see your quilt shop. Your shop is a good excuse to visit the Las Vegas area! Thank you for a brilliant post! Should i ever make my way to your shop from New Zealand i will probably camp there for some considerable time!! Thank you again! Sew proud that my Aunt Sonja is your new Moda Rep!! Love the spacious array of color and the variety of classes and talent! Best Regards. 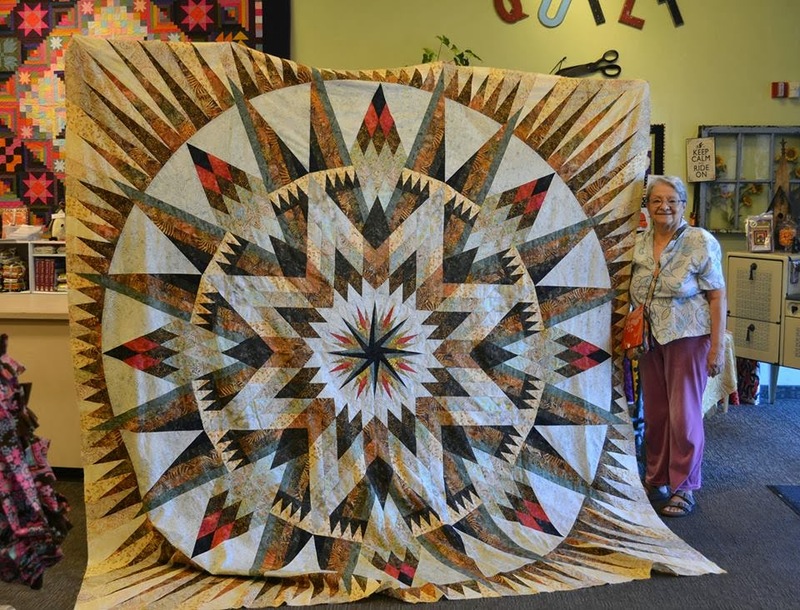 Mark Dunn says I am amazed at how great your shop is without any former knowedge of quilting. 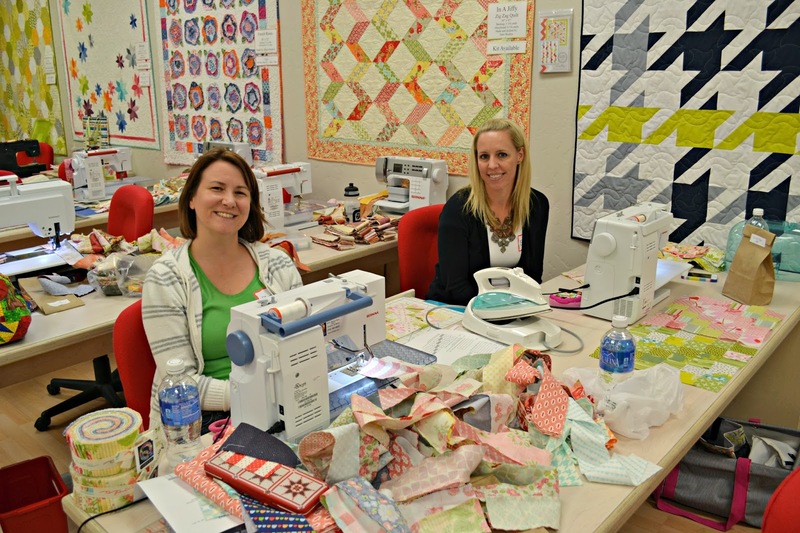 Imagine what you can do when you become a full fledged quilter. Great looking store!!!!! !